Billy Bot is the world’s first robotic junior clerk for a barristers’ chambers. The concept of Billy Bot came out of the huge growth in public access work that now comes directly to barristers. Members of the public can now contact chambers directly to discuss their potential cases with the clerks in chambers. This presents a new difficulty for barristers’ clerks as they need to spend much more time dealing with enquiries from the general public than they do with solicitors or other lawyers (who have a professional understanding of the legal process and requirements) when they contact us to obtain advice or book a barrister for a hearing. The idea of Billy Bot is simple. Billy has total access to chambers’ IT systems and can be programmed to take instructions, quote fees, carry out conflict checks, create new cases and book the cases into the diary system. Where Billy does not know the answer, he can search social media, Google, Bing and other sites such as LinkedIn. For Billy to work properly, he needs total electronic access to our various systems. 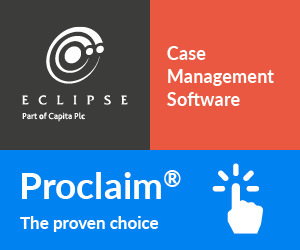 Over the years we have built various web systems, databases and we use the Advanced Legal case management software, MLC. We have duplicated databases for chambers, courts and barristers at other chambers we work with. The data protection, secure site certification and payment gateway integration is also pretty complicated. This is where APIs come in. An API is “a set of functions and procedures that allow the creation of applications which access the features or data of an operating system, application, or other service”. 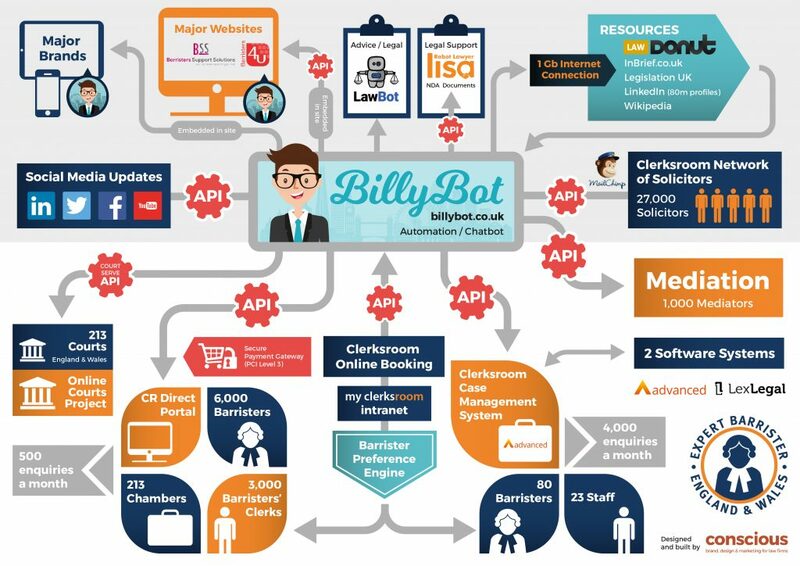 Thus the concept of Billy Bot, the cheeky chappie junior clerk robot is simple but the actual integration of the various data systems is far more complicated. The key to making it work is to understand what you are trying to achieve in the first place. With Billy Bot, the objective was clear. 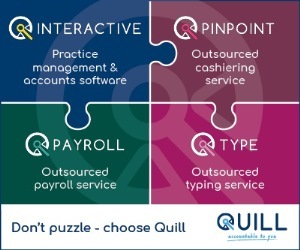 We wanted to remove many of the simple and repetitive tasks from our staff to free them up to do more productive tasks. A good example of this type of task is noting new enquiry details. A clerk would have to take the enquiry details, add them into the case management system, carry out a conflict check, create the booking and send confirmation is 167 clicks, keystrokes and so on. We currently do that 1,500 times a month, so that’s 250,000 clicks and keystrokes. 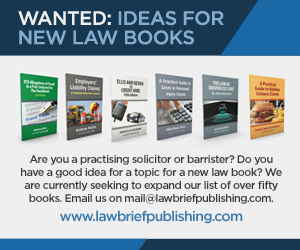 The bit that needs an experienced clerk is the allocation of the case to the most suited barrister and to agree the fee or budget with the solicitor. Bear in mind that Billy has total access to our systems so he had 15 years data available to him via the case management system. In addition to this, we built what we call the barrister preference engine. The variables are pretty simple as there are only so many courts and tribunals, types of funding and areas of law. Billy just needs to understand from our 80 barristers who wants to do what and then check the diary for availability. That bit is pretty simple. Billy either has multiple options, just one or no options. He also has what we call a “bail out” module that allows him, whenever he does not know the answer, to bail out and ask a more senior member of staff for help. Pretty much as any junior clerk would do. After reading many articles about chat bots and taking advice from some of the leading figures in legal tech, we decided Billy would be a 16-year old junior clerk in training and very geeky. Billy is a cheeky chappie and also likes a laugh. We gave Billy that personality because we always want to be able to bail out of a conversation and just say something like “I’m only a junior clerk; I need to ask a more senior member of my team.” We are simply managing expectations but it seems to have worked well during the first 1,500 conversations that Billy has had in the first three days since launch (in May 2017). Major brands. Billy is in talks to go directly onto major brand sites to offer access to legal services offered by barristers through public access or the more traditional route of a solicitor. Billy will sit on pages within a website that have potential for legal services, such as motor insurance websites that have information about road traffic offences. If the user is reading material where legal advice may be needed, Billy will pop up and offer to provide help or a quote. LawBot. The plan is to integrate using an API into other chat bots such as LawBot or for specific tasks such as free NDA drafting via Robot Lawyer LISA. By having a sense of humour and a character, Billy the cheeky chappie robot in training, can make it as fun as he likes but keeping a clear focus on the task of helping as many people as he can along the way. Resources. LawDonut, InBrief, Wikipedia and Legislation UK have an enormous amount of free content which Billy can review and direct clients to using a Google API and permissions from the major sites to use content. More announcements to make in the autumn. Marketing. Using an API into MailChimp and our Clerksroom intranet of solicitor contacts, Billy also has access to marketing data. Clerksroom intranet for lawyers currently has 27,000 solicitors using the service so finding a solicitor to help as and when needed is unlikely to be a problem. With API’s into Clerksroom Mediation and Clerksroom Chambers as well as Clerksroom Direct, Billy also has access to 1,000 mediators and 6,000 barristers. Case management. Adding Clerksroom Case Management system via a bespoke API built for Billy by Advanced Legal, total access to diary data is now available. To prepare for the project, we built a “preference engine” for barristers to load their preferences into the intranet. All of our 80 barristers preferences are loaded so Billy knows the infinite number of variables including likely fees for specific areas of law, all courts in England and Wales, legal expertise and distance to travel from home or chambers to the court centre. We are also in talks to link Billy into the Courtserve system to allow for remote checking of court lists as and when published. Billy will be able to alert someone to the fact their case has appeared on a court list. Connecting to the online courts project is a distant aspiration but the inevitable is coming so we may as well embrace it and be prepared for it. Last not but least is the API’s readily available for most social media sites. Social media. Billy is connected to LinkedIn API, Facebook API and Twitter API allowing him to update his friends and followers automatically. One interesting feature of the LinkedIn API is the ability to find specific lawyers using the Boolean advanced search coupled to the API. A good example of this is whilst testing someone asked Billy for a commercial lawyer in the Netherlands with specific experience. Billy automatically worked out that none of the barristers at Clerksroom had the relevant experience so he searched LinkedIn and found 3 options for the client. The client accepted the options and contacted the lawyer in the Netherlands that day. Now the infrastructure is built, the opportunities are endless. We are only limited by our imagination. It is very early days for Billy and he is a long-term project, ending up with us being able to experiment with Artificial Intelligence. For now, Billy is a functional chat bot able to take instructions and book cases into our various IT systems. The immediate plan is to widen Billy’s functionality and then deploy him to all of our websites. Once on all of our sites and working correctly, we can then deploy him to partner sites. We currently have 100 partners all directing enquiries to us. Billy is free, works 24/7, never complains, never takes holidays or sick leave and he can be instantly replicated. Using unique API keys for each deployment, we can track ROI, making the entire project very exciting and, importantly, a valuable solution. Stephen Ward is the founder and managing director of Clerksroom Chambers, Clerksroom Mediators and Clerksroom Direct. Email ward@clerksroom.com. Twitter @clerksroom.